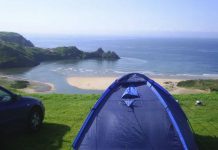 Home Tent Camping How To Take Care Of Your Tent While Camping? 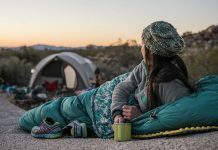 How To Take Care Of Your Tent While Camping? 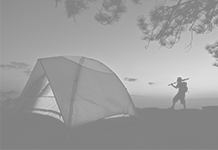 The camping accessories play a very important role in camping. 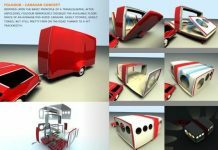 Choosing the correct camping equipments adds an extra comfort to your camping. So, proper care of the equipment can also make the camping joyful. 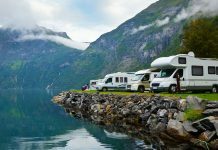 By taking proper care of the camping equipment, you will make the camping experience memorable. 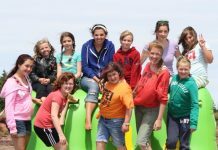 What if you planned for a camp and left for the camping and found that the camping tent is ragged? 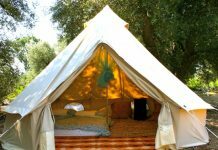 These sights of the camping tent will spoil the camping experience. So, proper care is needed to maintain the tent in proper condition. The tent plays an important role in the camping, it gives you shelter, provides space to sleep and gives a completeness to the camping. 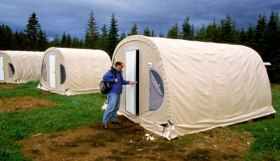 By following some tips in tent care, you can maintain the camping tent for years without any problem. 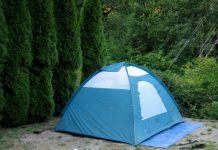 Placing the tent: If you place camping tent in a rocky terrain, it can tear the ground of the tent and can spoil the tent ground. Always choose a terrain which is free of rocks. If it has rocks, clear the camping area without rocks and debris and make sure you are in a smooth surface for camping. 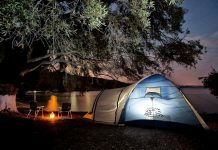 Ground cloth: Always use a ground cloth if camping in rocky terrain, this will protect the ground of the camp and will avoid the tears in the tent ground. A ground cloth will minimize the rocky structures to tear the camp ground and adds an extra softness in the camp. Ground cloth can also avoid the moisture entering into the tent. 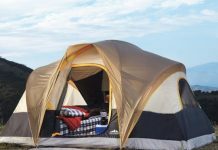 Tent care while camping: Never enter the tent with shoes or boots; entering with shoes will bring the outside dust inside the tent and the dirt sticks to the tent making the cleaning harder. So, prefer leaving the boots outside of the tent to make your cleaning purpose easy. Even after much care, you will end up with some debris or dust inside your tent. Always keep the tent inside clean and hygienic. Always sweep out the unnecessary items in the tent. Stitch in time: Even after much care, you may some time end up with some shears in the tent. So, always use a sealer to stitch the tent. Add a sealer as extra accessories in the camping kit. The sealer will help you in stitching the tent and make sure that you do not make your tent ragged. Food in tent: Never place your food in the tent- always hang the food in a level above from the ground. This will avoid the critters to pierce into the tent in the search of food. If you cannot hang the food at least place the food in the car. Wet tent care: If you are camping in rainy season, your camp will get wet. 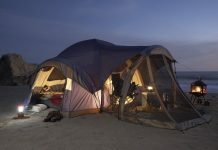 After your camping in the rain is successful, you need to take care of the tent and make sure the tent does not catch mildew (fungus caused due to dampness). Be sure to dry the tent after camping in the rain. Dry the tent in the backyards of your house, over the clothesline, patio chairs or fence. If the weather does not permit to dry the tent, you can hang the tent on two nails in the garage and dry it. But, be sure you place the tent in the sun at least once after rain camping.